One of the most fun things to do on your holiday is shopping in the Algarve. The best thing about shopping in the Algarve are the opening hours. From early morning till late in the evening the shops are open. So whether you are looking for new bathers before hitting the beach, an easy shop break after lunch or dinner, the international, Portuguese and designer stores are there to please you. In most of the centers of the main cities and towns such as Faro, Albufeira and Lagos, you will find an array of shops. However, there are three important shopping areas that are most worth the visit. They are MAR Shopping Algarve, Forum Algarve and Aqua Portimão. In these shopping malls you will find a wide selection shops, restaurants and a cinema. 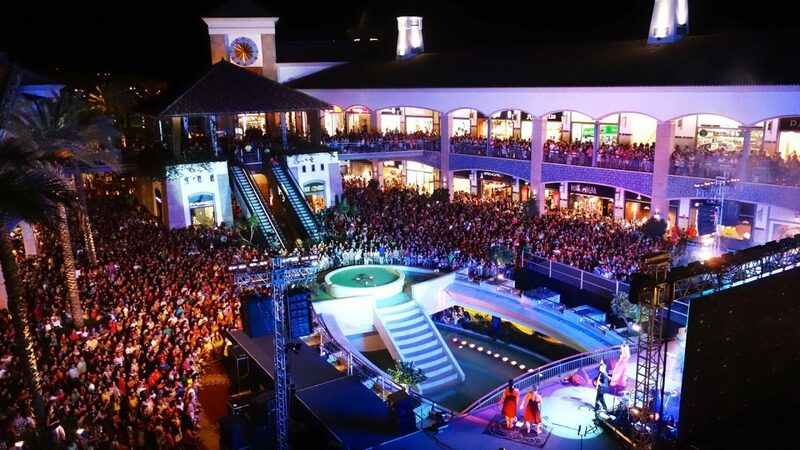 Also in these shopping malls entertainment is key, with many (musical) events that are hosted. Find out all the secrets about shopping in the Algarve. This brand new shopping centre opened on October 26, 2017. 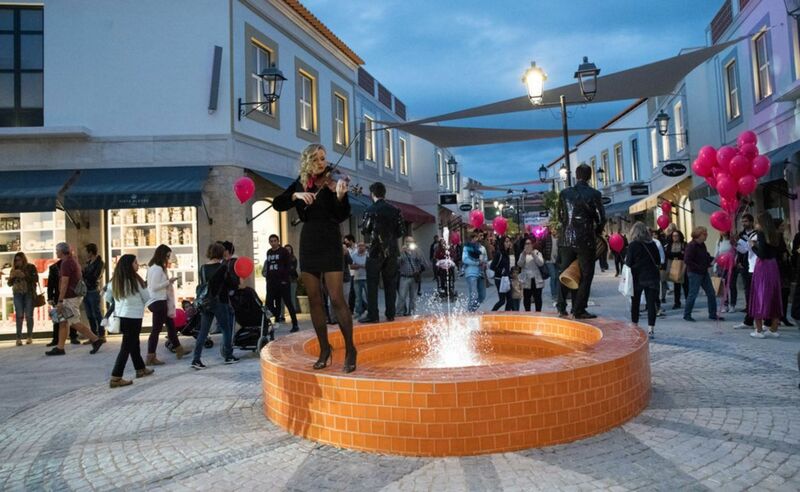 It instantly became the most popular shopping spot and it is the largest shopping center of the entire Algarve. 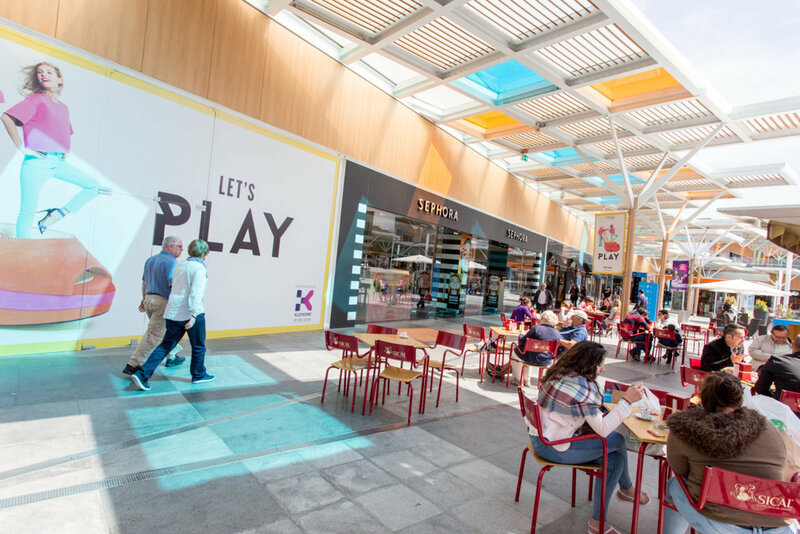 In MAR Shopping you can find an indoor shopping centre with 100 stores and restaurants, a designer outlet, IKEA, Leroy Merlin and an outdoor leisure area. It is open 7 days a week from 10.00 o’clock until 23.00 o’clock. On Friday and Saturday the shops are even open until 00.00 o’clock. 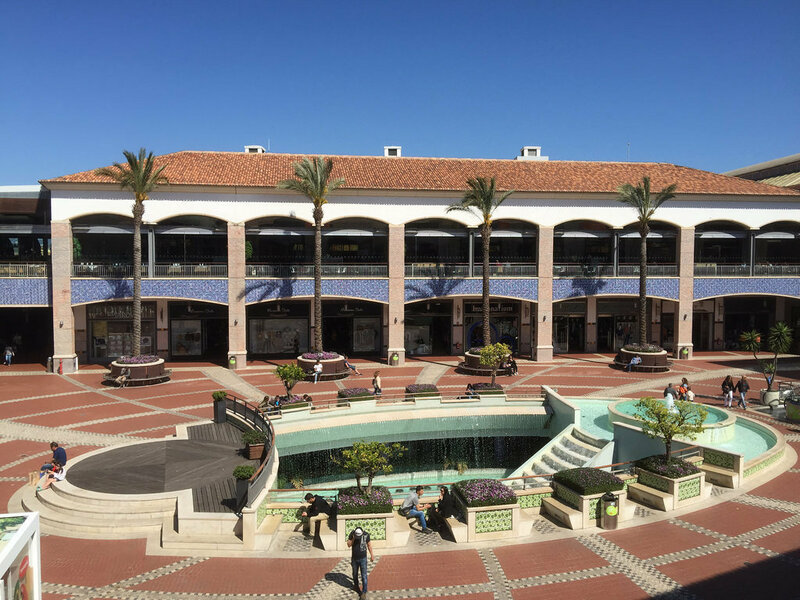 The shopping centre is ideally located in the centre of the Algarve, close to the highway in between the cities of Faro and Loulé. 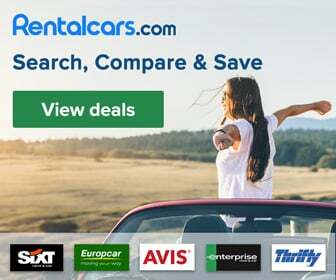 It takes about a 20 minute drive from Faro Airport. There are 3,500 free parking spaces, so you will have no problem finding a spot. In this shopping centre you can find the popular Spanish clothing brands such as: Bershka, Mango and Zara. The Portuguese fashion brands: Parfois, Natura and Zippy. And of course the international brands such as H&M, Rituals and Swarovski. In addition to the shops there are plenty of restaurants where you can have a snack or proper meal. There are the international fastfood chains, such as McDonalds and KFC. Are you more into the Portugese cuisine? Then try out the Algarve Chef Experience or Portugália. Mar Shopping also has a cinema and the best thing about the cinema is that the movies are all shown in their original language. Since most movies are Hollywood productions, the language of the movies is English, with Portuguese subtitles. Next to the shopping centre you can find a designer outlet. The designer outlet is built as a mini town. It has pretty streets with benches and fountains. Here you will find stores such as Lacoste, Guess and Calvin Klein offering their full collection at discounted rates. 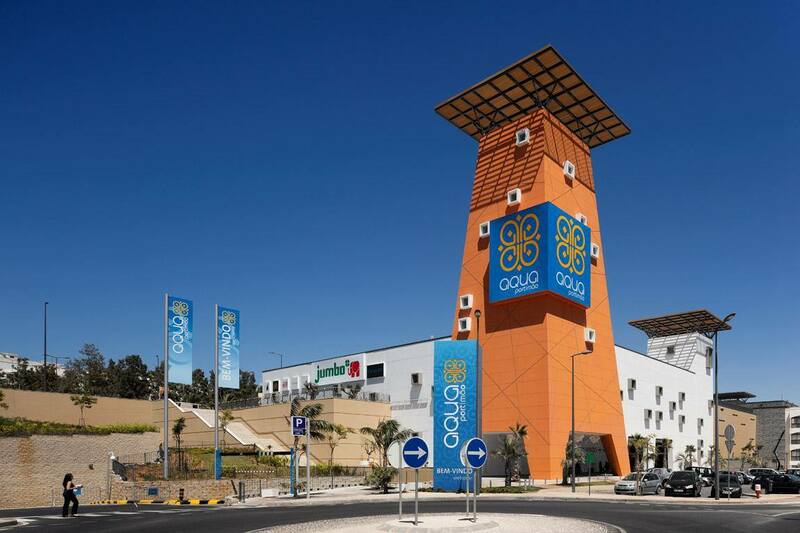 Forum Algarve is the shopping centre of the capital city of the Algarve: Faro. This pretty shopping mall has an outdoor square in the middle with a fountain, where many events are hosted. Around the square you find two floors of shops and restaurants. The Forum is home to 100 different shops, a food court, the big supermarket Jumbo, Decathlon and a cinema. Forum Algarve is open 7 days a week from 10.00 o’clock until 23.00 o’clock. On Friday and Saturday the shops are even open until 00.00 o’clock. 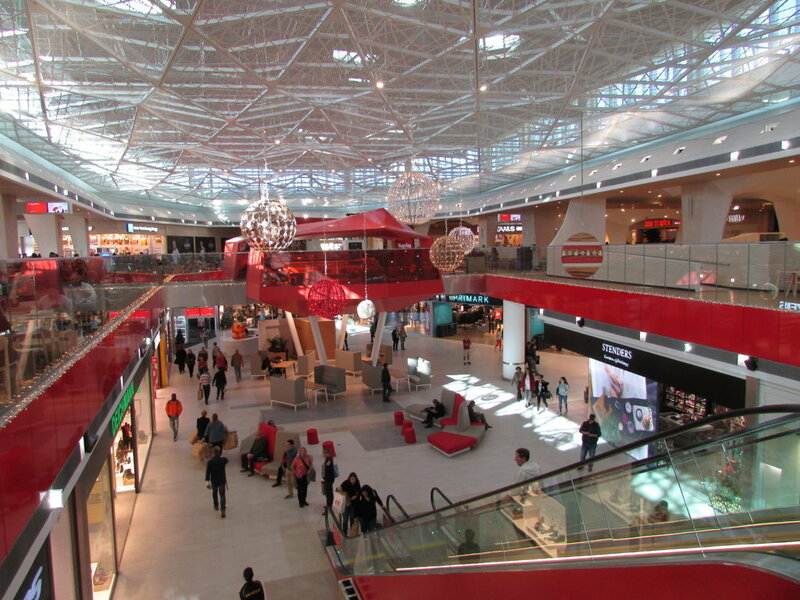 The shopping centre is ideally located in central Algarve, close to Faro Airport. It takes a 5 minute drive from the airport. When staying in Faro centre, you have the options to take a mini bus, regular bus, taxi or even go walking. It takes about a 25 minute walk from the city centre of Faro to the Forum. Arriving by car, it is good to know that there are 2,300 parking spaces, so no worries about finding a good spot. And of course, parking is free. In this shopping centre you can find 100 stores from popular Spanish clothing brands such as: Massimo Dutti, Pull and Bear and Zara to Portuguese fashion brands such as Sergent Major, Natura and Parfois. And of course the international brands such as Triumph, Rituals and Levi’s. 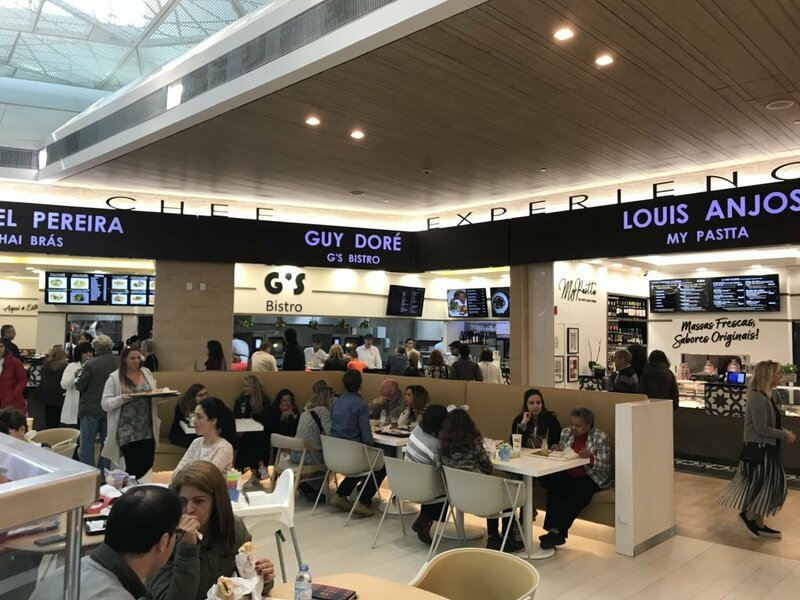 In the Forum Algarve there is a large food court with plenty of restaurants to choose from for a snack or proper meal. There are the international fastfood chains such as Burger King and Pizza Hut. Are you more into the Portugese cuisine? Then try out the soups of Lojas das Sopas or steaks from Portugália. You might like to try the sushi at Hanami Sushi or all you can eat asian food at Happy Family. Forum Algarve also has a cinema with 5 cinema screens. The great thing about the cinema is that the movies are all shown in their original language. Since most movies are Hollywood productions, the language is English, with Portuguese subtitles. Forum Algarve hosts many events. For example, in April there is the Virtual Reality experience. In the summer, the Forum organizes performances from popular artists and bands with the returning event Summer Sound in collobaration with MTV! Aqua Portimão is the largest shopping center in Western Algarve. It is located in the city of Portimão. The shopping center hosts over 100 different shops, restaurants and the big supermarket Jumbo. The design of the shopping mall is inspired by the sea, as is the name. The main feature is the big orange tower. Aqua Portimão has very attractive opening hours as the stores are open 7 days a week from 09.00 o’clock until 23.00 o’clock. On Friday and Saturday the shops are even open until 00.00 o’clock. Aqua Portimão is located in Portimão in the Western part of the Algarve. It takes around a 1 hour drive from Faro Airport, a 30 minute drive from Albufeira and a 30 minute drive from Lagos. In the underground and ground level car parks, there are around 1,800 parking spaces. Parking is of course free. In this shopping centre you can find all your favorite shops from fashion brands such as H&M, Primark, and Intimissimi to sport stores such as Asics and Footlocker or home accesoires from Zara Home, Tiger and A Loja Do Gato Preto. In Aqua Portimão there is a large food court with plenty of restaurants to choose from. Get for example your hamburgers at Talho Burger or McDonalds, noodles at Wok to Walk and fresh juices from Vitaminas. Aqua Portimão hosts many events during public holidays and in summer.